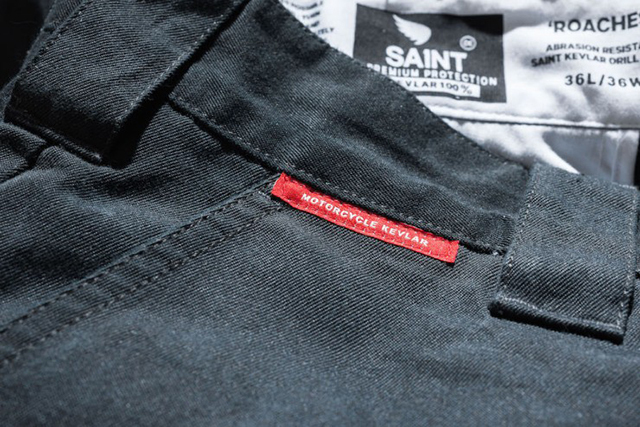 First up, we have an Australian-based company called Saint. They have one of the most exciting Kevlar products we have seen in a while. 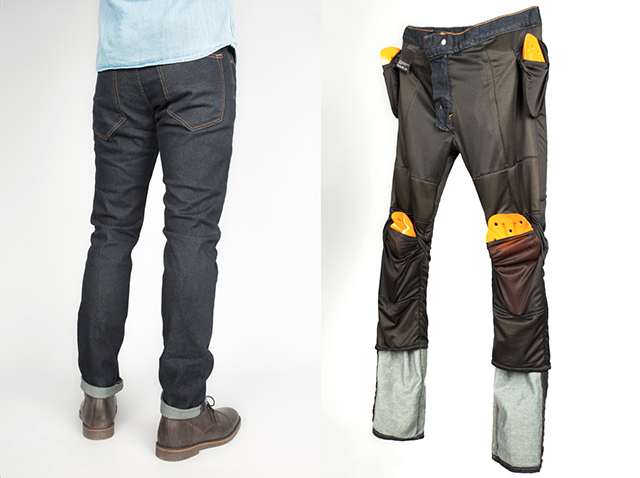 They don’t just line their pants with Kevlar, they actually make the jean out of Kevlar – so now you don’t feel like you are wearing an adult diaper under your pants. Not only that but they also demonstrate 360° tensile strength, slash, tear and heat resilience. They are also five times stronger than steel. 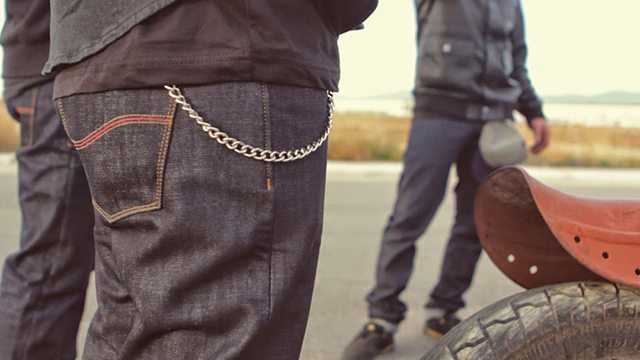 So when we received a pair of these jeans we were eager to find out what they felt like to wear. We were not disappointed; they feel and look like a normal drill pant. The cut seems to be true to size. 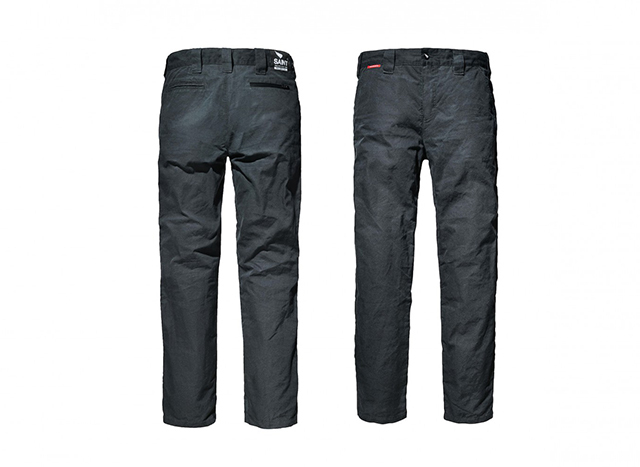 I usually wear 34″ waist and many are usually slightly big on me but not the Saint’s. The length of the legs are a bit longer but when riding there’s enough there to cover your boots with a bent knee. Saint haven’t stopped at drill pants, either. 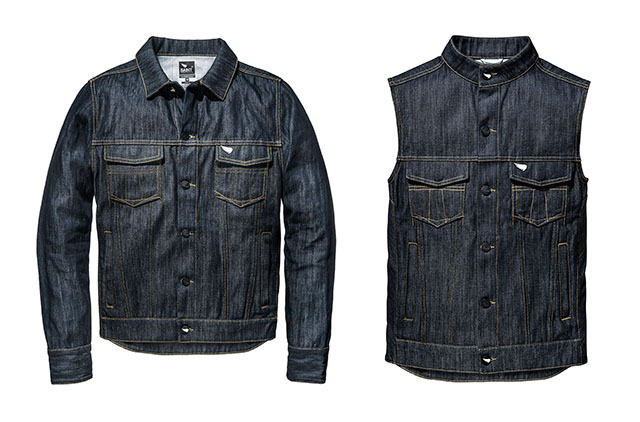 They have also released a slick line of denim jackets and vests that are made using a different ballistic fibre called Ultra High Molecular Weight Polyethylene (or UHMWPE for a short. Catchy, huh?). We’re told it’s a “space age material from the space age.” Whatever you say, science guys. 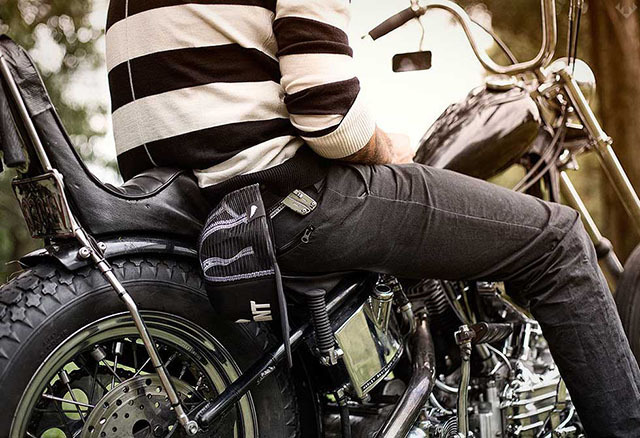 Harley has just launched its first-ever range of performance riding jeans. 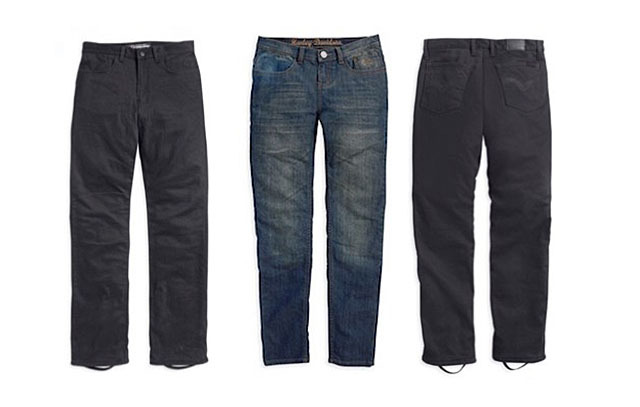 They claim to be ‘the most technically advanced jeans in the world’, which is a big claim but it looks like they have the stats to prove it. They offer double the abrasion resistance at half the weight. 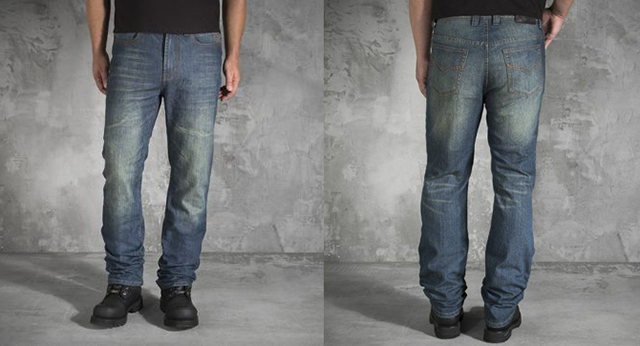 The jeans feature Draggin’s ‘Roomoto’ protection fabric which offers race-level protection of 7.45 seconds of road abrasion. The lining also has a fancy antibacterial treatment and “climate control” to make your legs cooler in hotter temperatures.